These photos are from a trip to the Grand Canyon South Rim at the end of June 2009. 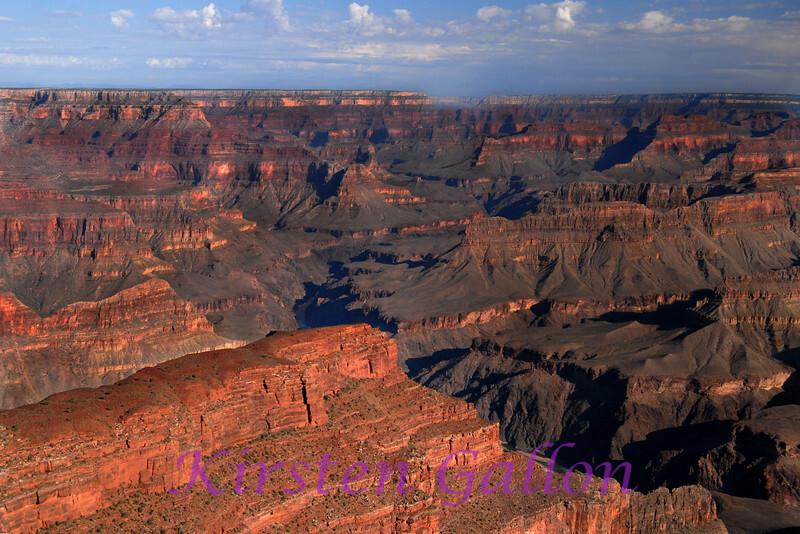 The colors vary due to the ever changing lighting conditions of the South Rim and the fact the photos were taken over a period of 3 different days. There was also a blue haze that caused me a lot of grief, but one has to deal with mother nature when shooting out of doors. It is an amazing sight to behold. A few photos are done in both color and black and white because I liked the look of both. If you are interested in purchasing the any of the photos please note that odd size photos must be ordered directly through me. You will know them when you see them.